Finally Microsoft breaks the silence. A few officials from the world's leading software company has shared little details about Photogon - a new file system that, according to previous rumors, will be integrated into the forthcoming Windows 8 OS. A previous blog from Microsoft last Monday entitled "Building Windows 8" has revealed the additional details of the big picture when it announced the name ReFS (Resilient File System) as the official name of the new file system they are tediously working on. Surendra Verma, Development Manager for the Windows Storage and File System Department, explained that prior to the official release of Windows 8, ReFS will start its life cycle as a storage system for the Windows Server. Then it will become a storage system for Windows clients and eventually a boot volume once Windows 8 arrives. Since one of Microsoft's primary goals in developing ReFS is to maintain a high degree of compatibility with a subset of widely used NTFS features while at the same time minimizing the ones with limited value, Microsoft is planning to stop supporting selected NTFS (New Technology File System) features including short names, compression, file level encryption, user data transactions, object IDs, named streams, hard links, sparse, extended attributes and quotas. In my own opinion, NTFS is already old. Most would even agree that while NTFS is weaved into the fabric of both Windows 7 and Windows Server 2008 R2, it was not really designed to handle processes elegantly. Microsoft has no intention of scaring its Windows 7 users. It is fine. But reengineering the file system is so much better. 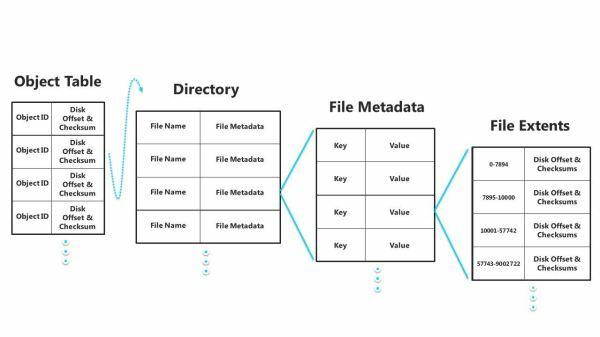 So ReFS is going to restructure the way we search files by reconstruct the way we store data. As it stands we use Fragmented data. Where the registary, as data is stored in different random but algrythem sector this leave less space for data to be stored properly and in somecase broken pathways usually yeilding in slow boots, filesearch, file transfer. I guess ReFS will allow a better way of storing data. But i hate the factor we will have to Lose NTFS... But does this mean all External HDD and those wil dual or multi boot wont be able to with ReFS and window8? Or is it just in the partition? ?